Is changing your sheets a huge hassle? Many sleepers have a real dread when it comes to changing the sheets. Bulky, heavy mattresses can make it difficult to wrestle sheets on and off. But the new Quick Zip sheets were recently introduced as a way to simplify the chore of changing sheets. It sounds convenient, but will these sheets have the softness and quality of comparable brands? Follow along as we put the Quick Zip sheets to the test in our standard Sleepopolis Sheet Sleep Review. Let’s go ahead and get started. In a rush? Click here to jump to the summary. Do you hate changing your sheets? Then QuickZip sheets may be the brand for you! The Quick Zip sheets are made from 100% cotton with a sateen finish. The fitted sheet comes in a 2 part set. The base fits on with extra deep pockets to keep it snug. The top panel zips on with approximately 2” of trim on the top panel that covers the exposed zipper. The zipper also has a branded pull that makes it easy to zip the top panel on. 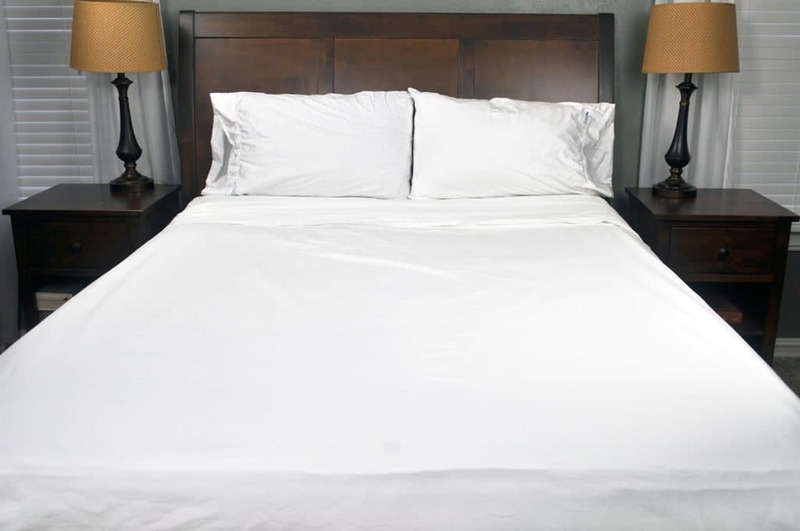 The classic set comes with a 2-part fitted sheet, a flat sheet, and two pillowcases. Other packages come with additional zip on fitted sheets and extra flat sheets. 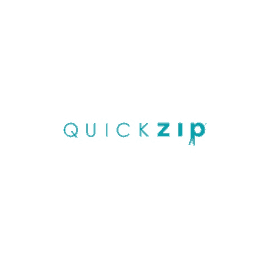 Regarding sizing, Quick Zip offers many varieties of crib mattress sheets, play yard sheets, twin, twin XL, Full, Queen, King and California King. 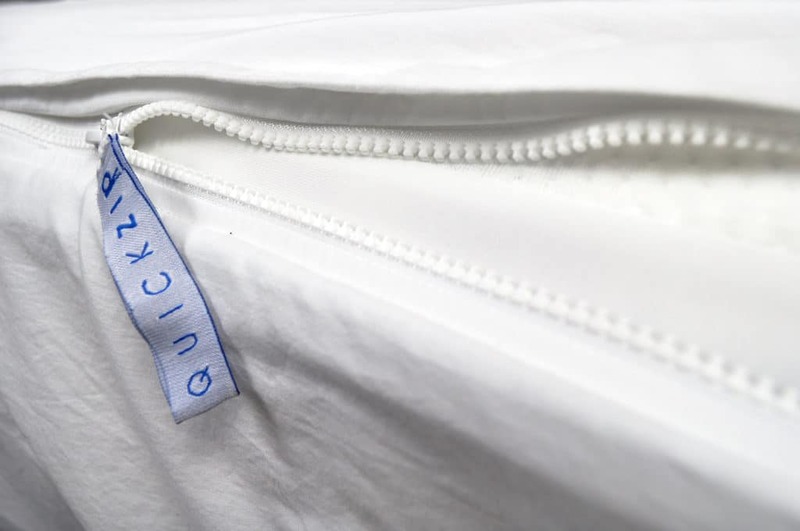 The Quick Zip crib sheets also come in many different colors and materials (cotton, organic cotton, or mink) and is sized to fit snugly on a standard size crib mattress. 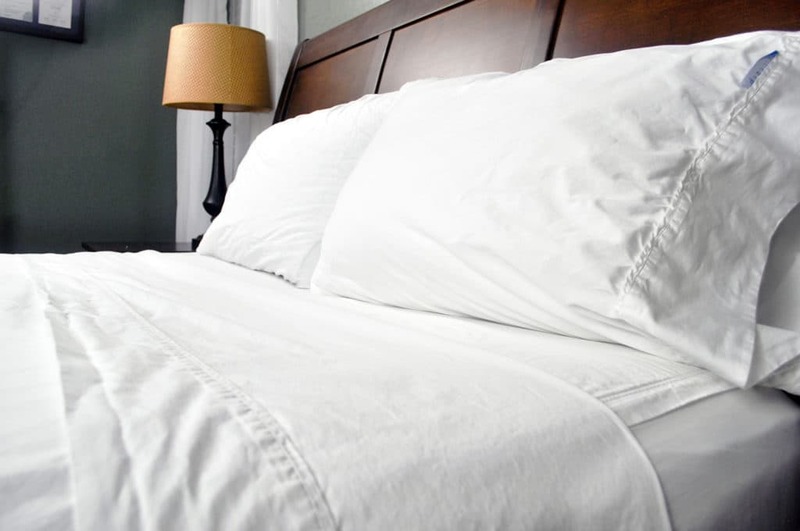 The pillow cases are open-ended, which means that the pillow slides in and the end is left open- versus a standard sham closure where there would be an overlap of material and no open end. The build quality of the Quick Zip sheets, including thread quality, stitching, material quality, and overall construction, is quite nice. Upon close examination, I only noticed two loose threads on the Quick Zip sheet set. Considering the additional number of stitches compared to an average set of sheets, I do not consider this to be bad. All of the loose threads were located on the top panel of the fitted sheet. Undoubtedly, this is the piece that has the greatest amount of stitching since it also contains the zipper construction. This next series of tests evaluates a sheet’s durability and quality in terms of shrinkage, thread examination (before and after use / wash), and color transfer. All of these factors work together to provide the highest quality sheet set possible. First, we’re going to look at shrinkage. Shrinkage can be a huge problem and point of frustration for new sheet buyers. There is nothing more annoying than having a well-fitting sheet shrink and suddenly not stay on the bed as snugly. Next, we’ll look a little closer at the stitching and thread quality. We already touched on that briefly, but this test will see how the threads are performing after a few weeks of use and multiple washes. Last is color transfer. Unfortunately, I was not able to get a colored set of sheets, as a result we will skip our normal color transfer test. For this test, first I measure the size of the individual sheets right out of the box. Then I run them through one normal wash / dry cycle and record a second set of measurements. Comparing the before and after wash measurements reveals the amount of shrinkage that occurred between the two. In the case of the Quick Zip sheets, the sheets are preshrunk, which helps to limit additional shrinkage. 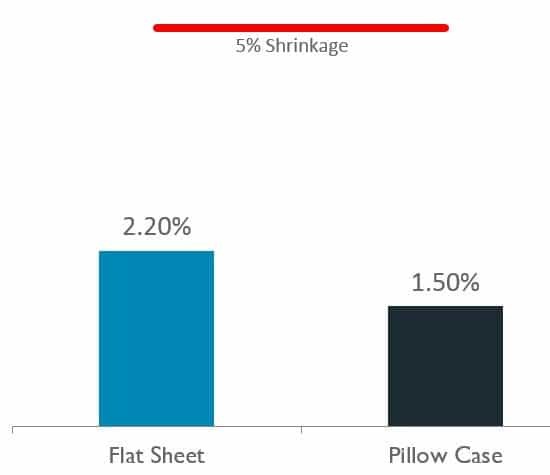 The flat sheet shrank by 2.2% and the pillowcase shrank by 1.5%. This is a very low amount of shrinkage and helps to guarantee a snug fit from the first time you put them on your mattress. This test takes a closer look at the thread quality and overall wear on the material. After multiple washes, I did notice two additional loose threads on the top panel of the fitted sheet, for a total of four loose threads, but nothing that caused the sheet to rip or fray. Besides that, there were no other tears or new signs of wear. The Quick Zip classic sheets have a nice feel to them. They are not the lightest sheets on the market, but their strength is in their durability and unique zipper design. They have a cotton feel with a sateen finish—a bit like that of a luxury hotel sheet. The zipper makes it easy to put the top panel of the fitted sheet on, and then the flat sheet goes on like any other sheet would. During the sleep test, these sheets were snug all night. The pillows also remained in their case without any problems. Regarding cooling, the Quick Zip sheets are fairly cool. For most sleepers, these sheets would be appropriate for moderate climates all year long. For sleepers who are specifically looking for cooling sheets, a thinner option is likely going to be a better choice. Who should buy the Quick Zip sheets? Overall, the Quick Zip sheets were impressive. Not all sleepers may need the zip feature, but if you’re looking for something that’s comfortable and amazingly easy to change, the Quick Zip sheet set is a great option. Want cotton sheets – These Quick Zip sheets have that classic cotton feel to them. They have a heavier hand than many other cotton sheets I’ve tested, but still provide good cooling and lasting durability. Want more options in a set – This sheet set comes in basic, premium, deluxe, and classic. Each set contains a different assortment of pieces, such as a base, one or multiple zip-on sheets, flat sheets, and with or without pillow cases. Want kid-friendly sheets – Do you have a child that’s prone to nighttime messes? The zip panel makes it easy to do changes in the middle of the night. This sheet set is also available in crib size, for a bedding that’s easy to change and remove, but won’t come loose while your little one is sleeping. For more information on the Quick Zip sheets, visit Amazon.com. 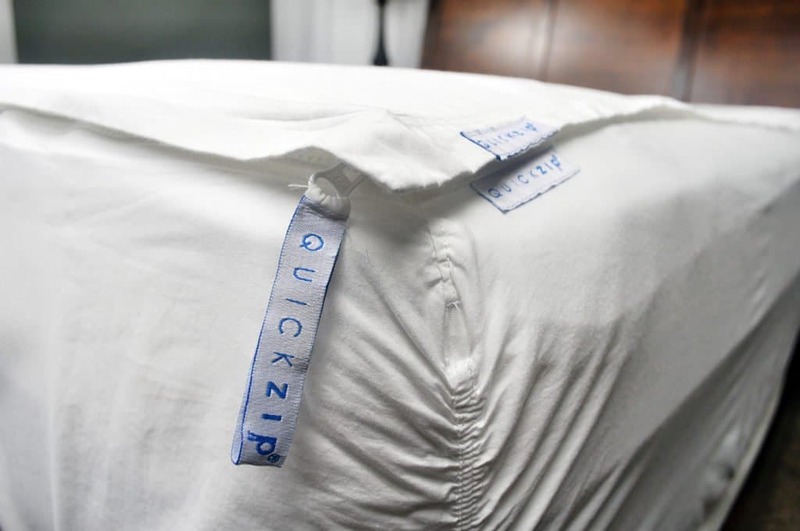 The Quick Zip sheets are a great option for sleepers who change their sheets often. 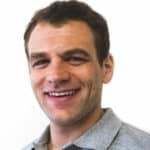 There don’t use any special material, aren’t super thin, and and don’t have great stretch. But they offer an excellent cotton sheet with an easy to use zip-on feature for the fitted sheet. The zipper is discreet and makes it easy to change the sheets with one pull of a zipper. The company offers sets that contain multiple zip-on panels which means there’s no more waiting for sheets to dry.